The Adobe AIR runtime lets developers use proven web technologies to build rich Internet applications that deploy to the desktop and run across different operating systems such as Mac, Linux and Windows. 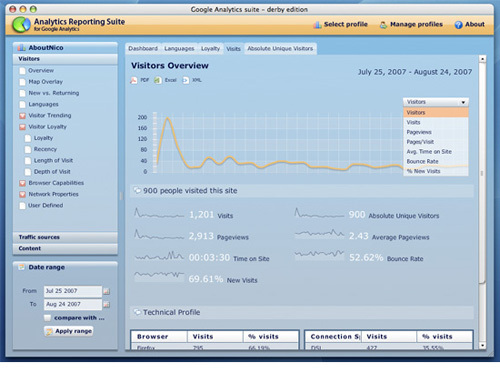 Thanks to Adobe Air, you can now get Google Analytics data directly onto your desktop. 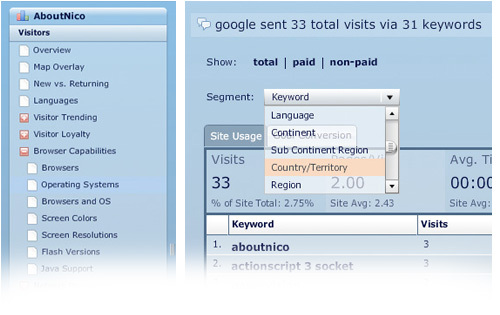 Google Analytics AIR supports most of the functions of the web version and it’s prettier to look at too!